It may be of little surprise to you that, as Civil Service Diversity Champion, I am passionate about diversity in every sense. In the Civil Service we are striving to be the most inclusive employer, so that everyone who works here feels valued, supported and able to be themselves, and in turn bring their best to their role every day. An important element of our diversity and inclusion agenda is ensuring that we a have a diverse and representative senior leadership team across the Civil Service. 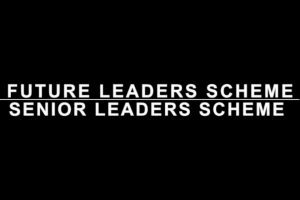 So, I want to talk to you about the Future Leaders Scheme (FLS) and the Senior Leaders Scheme (SLS). What are the FLS and SLS? The FLS and SLS are two-year, cross-government accelerated development schemes for G6/7s (FLS) and Deputy Directors (SLS) who have the potential to progress to the Civil Service’s most senior and critical leadership roles; with META (Minority Ethnic Talent Association) as a bespoke offer for FLS participants from Black, Asian & Minority Ethnic (BAME) backgrounds. I encourage all eligible colleagues to apply, and for line managers and mentors to support their colleagues in doing so. This year I would like to see a continued increase of diverse participants and a greater number of participants from outside Whitehall. Too often our talented colleagues working in regional roles are not recognised, and we need to improve this. Applications for the 2018 intake close at midnight on 21 June. You can apply online now on Civil Service Learning. The schemes help us to create a strong, diverse and robust pipeline for the most senior roles in government - fundamental to creating ‘A Brilliant Civil Service’. Last year, we set out - and achieved - our ambition to expand the reach and diversity of the Future Leaders Scheme (FLS) and Senior Leaders Scheme (SLS). We want to maintain that momentum. I am calling on my colleagues in the Senior Civil Service - particularly those from diverse personal and professional backgrounds - to volunteer as interview panellists. Interviews take place between 4 September and 6 October. They are held in departments for the FLS and centrally for the SLS. To find out more about the schemes, visit the Corporate Accelerated Development Schemes pages on Civil Service Learning. To register your interest as an interview panellist, or for any other queries relating to the schemes, please contact the Civil Service Talent team at cstalentschemes@cabinetoffice.gov.uk, or by telephone on 020 7276 0719. Why make it so hard, the best person for the job gets it. Anything else feels like a quota system and makes the job holder wonder if they got the job because of their skills, or a box ticked on a list of 'non normal' attributes. 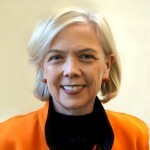 As an advocate of Diversity and Inclusion, I can fully appreciate Sue your passion as a Diversity Champion. As someone who has been within the Organisation over 26 years and a BAME Officer, I have seen a significant change in attitude in respect to Diversity. This sounds like a really great opportunity and I hope that there is a good level of interest. Every Civil Servant knows or ought to know that job offers are based on the competency system. I am curious however as to why you would imply that women, or males who have characteristics you don't share, are not "normal" . Sue, You know me, our paths have crossed on a few occasions. You'll know that I share yor passion for fairness, and anything that makes the workplace fairer and more representative can only be good. If you think there's a "but" coming, I won't disappoint. Why do "talent" schemes always link themselves with promotion. Why can't we do development schemes for people who want to stay where they are, but do their job better. Working "Smarter" if you will. Promotion isn't for everyone, but being better at doing what you do is all part of the modern Civil Service. That is way too sensible and will never catch on.